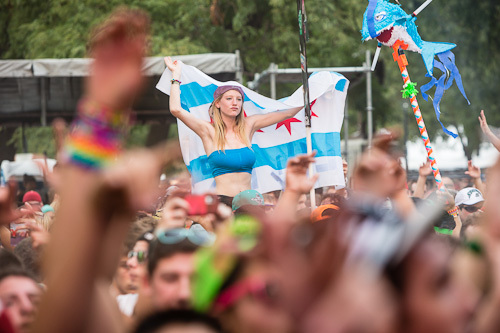 On Sunday, temperatures soared into the mid-90s while North Coast Music Festival's hodge-podge of attendees made their way to Union Park for the final day of summer's last stand. Sunday's lineup was as contradicting as the previous two days' lineups, and the divergence in sound was once again reflected in the crowd. Where else can Tycho fans bump shoulders with Disco Biscuit devotees while both groups of people try and avoid the youthful "squadlings" charging towards the EDM stages? Nowhere but North Coast. North Coast Music Festival's day two lineup was infused with stellar acts and standout performers. From D'Angelo and the Vanguard, to Chromeo, to The Roots, to Galactic with Macy Gray, a variety of musical legends entranced audiences with their unique sound in Union Park, amassing doting crowds of longtime fans. Julian Ramirez and Abigail Covington reviewed some of the best sets of the day, setting the bar quite high for the final day of the fest. 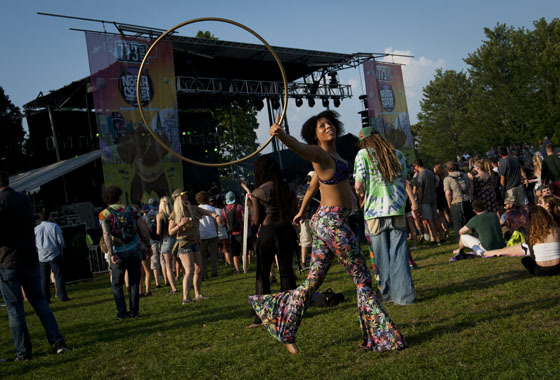 North Coast Music Festival brought about an eclectic variety of musical acts amid the sweltering heat in Union Park for its first of its three-day reign. From the helter-skelter light shows of EDM sets, to a bit of funk, to standout hip-hop acts, the first day of North Coast presented festgoers with some stellar offerings, with much more to come throughout the remainder of this glorious Labor Day weekend celebration. I'm really happy that Julian Ramirez and Abigail Covington have the preview coverage for North Coast Music Festival locked down, because in all honesty electronic music isn't quite my cup of tea. It's one of those genres where I have a healthy appreciation for the talent of the artists and the work they put into their music, but I just can't get into the songs or the associated culture. I know North Coast won't exclusively feature electronic music, but the balance leans heavily that way. That said, I'd feel bad not contributing anything to Transmission's coverage of the festival. Perhaps the aspect of EDM I appreciate the most is the artists' zany personas, and there's no better place to express those zany personas than the Twitterverse. So instead of telling you about the music you'll hear in Union Park, I'll show you the craziest tweets I found whilst trawling the Twitter accounts of every single artist who will be performing tonight. Because this is the Internet, and this is what the Internet does. Local act The Main Squeeze is enjoying quite the successful year. 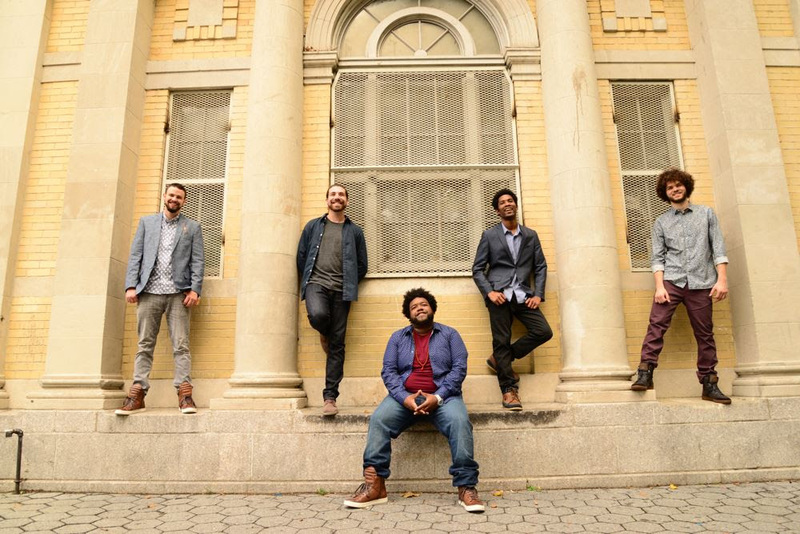 With an appearance at Bonnaroo this past year, as well as an upcoming set at North Coast Music Festival, the group, who seamlessly blends funk, soul, and much more, will be releasing their next album, Mind Your Head, in the fall. They're looking forward to sharing their performance day with artists they greatly respect, including The Roots and D'Angelo, and are patiently awaiting showing a Chicago festival audience their energetic live show, as well. I spoke with the group regarding their influences, who they would like to collaborate with, and their diverse range of musical experiences. In addition, we're giving away A PAIR of 3-day passes to North Coast Music Festival for you and a friend to enjoy. Simply comment on this article (use your email address!) with the artist you're most excited to see on on Saturday, other than The Main Squeeze, of course. The winner will be chosen today at 6pm. The winner has been chosen! Thank you all for your entries, and continue reading for future giveaways! North Coast Music Festival is swiftly approaching, with an outstanding crop of up-and-comers as well as longstanding electronic, hip-hop, and funk acts, to name just a few genres. From the long-awaited headlining set from D'Angelo, to a Galactic and Macy Gray collaboration, to hometown favorite Lili K., the festival is sure to be a good time once again during its 2015 three-day stay in Union Park. We've rounded up some of our most coveted acts to see throughout the weekend, encapsulating the various genres that North Coast effortlessly promotes. One lucky reader will be the winner of one three-day pass to North Coast - all you need to do is leave a comment below (make sure to include your email address!) regarding who you're most excited to see and why, and we'll pick the lucky winner at 6:00pm today. The winner has been chosen! Thanks to all who entered! 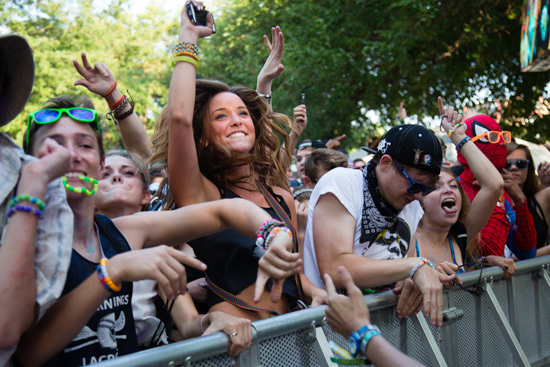 Festival season is far from over as the North Coast Musical Festival is quickly approaching. We are month away from the summer's last stand which will fill Union Park with the most eclectic grouping of musical styles you'll likely see. Tickets are still available for the three day blowout, but what is a party without an after party (or pre party for that matter)? 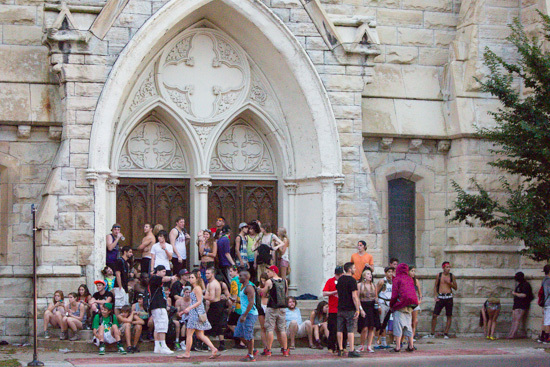 Well, NCMF has announced a multitude of official after-parties to keep the music vibes going well after the main festival. 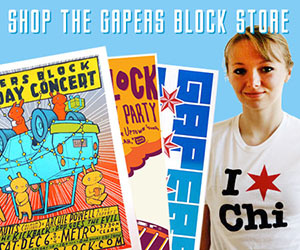 You can spend your evening listing to Knife Party, Galactic, Chromeo doing a DJ set, or any of the other 13 after parties going on around in Chicago. You can check out the full schedule below. Good news, North Coast Music Festival attendees! The daily lineup has been released, so you can now plan out your schedule for a jam-packed weekend of stellar musical choices. Single-day and two-day tickets have also been released, as well as the availability of discounted 3-day passes for a limited time. Along with the lineup, North Coast Music Festival will also be partnering with Do312 to announce the 6th annual Toast of the Coast competition. Up-and-coming performers, including one DJ and one live act, will compete to perform during one of the fest's coveted time slots. 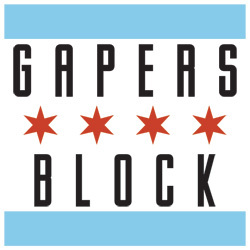 Suggest an act, and you could hear them live from Union Park. 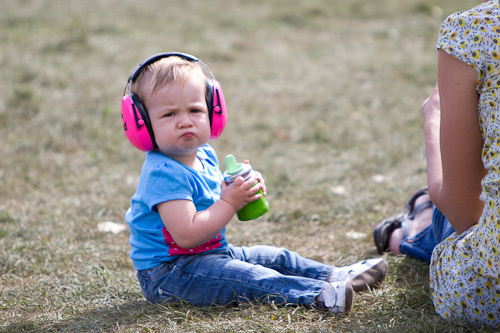 Who is ready for this year's North Coast Music Festival? If your hand is raised, you are not alone, as I became quickly elated after scanning this year's stellar lineup. This yearly Union Park three-day fest, occurring from September 4 through 6, features high caliber electronic, rock, hip-hop, and R&B acts to enjoy, and it seems to me that the lineup grows stronger with each passing year. This year's headliners include D'Angelo and The Vanguard, The Chemical Brothers, and a surprise mystery headliner, to be announced. Additional standout acts include Atmosphere, Chromeo, Porter Robinson, Steve Aoki, Gold Panda, RAC, Tycho, Portugal. The Man, and many more. A bit of funk is featured within this year's crop of artists, including Galactic featuring Macy Gray, along with Dirty Dozen Brass Band. With musical stylings for all to be excited about, North Coast is proving to have one of the best lineups of the summer thus far. 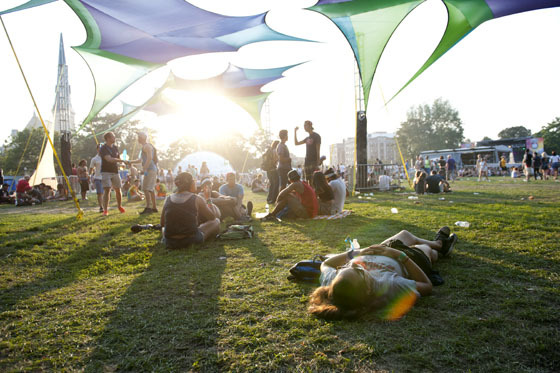 North Coast Music Festival occurs in Chicago's Union Park from September 4 - 6. Tickets are on sale, with $159 plus additional fees for 3-day General Admission, with $259 plus fees for 3-day VIP passes. The festival is 17+, with VIP passes available to those 21+. Union Park is located at 1501 W. Randolph Street. Sunday was a rather chill day at North Coast. I started things off by catching some of Wild Belle, an indie band heavily influenced by Lee "Scratch" Perry and his stylings of reggae with pop sensibilities. 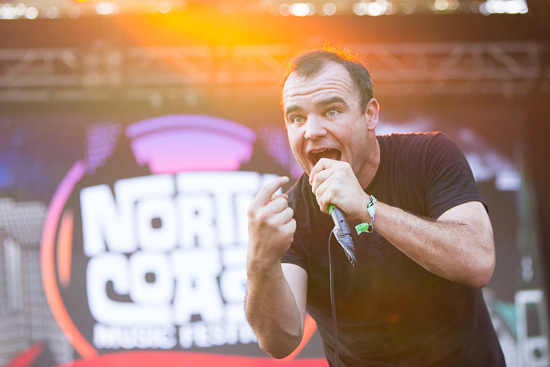 I started the second day of North Coast with Future Islands, who I soon discovered are kinda captivating. I really didn't know much about them. I knew the name, I've heard a few random singles that I've enjoyed, and was about it. It was that in mind that I went to see them not quite knowing what to expect. It all started before I even walked into Union Park. 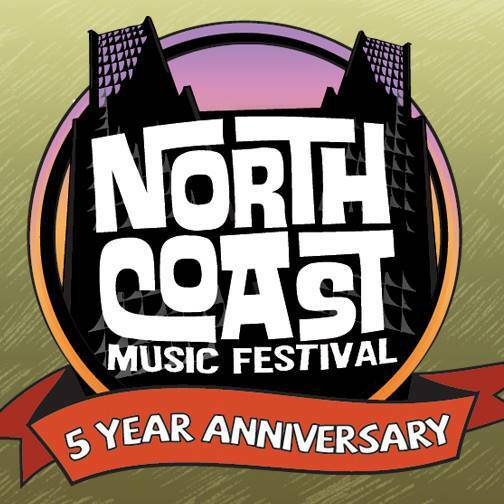 A few days ago, the North Coast Music Festival made a few announcements. First, the list of the after parties they're doing. Then they announced which bands are playing on each day. Below is a copy and paste of the daily lineups. A few minutes ago, North Coast Music Festival released the first wave lineup of this year's event. The late summer festival returns for its fifth year on August 29th through the 31st at Union Park. Weekend passes will run you $150 and can be purchased here. The lineup itself looks impressive. 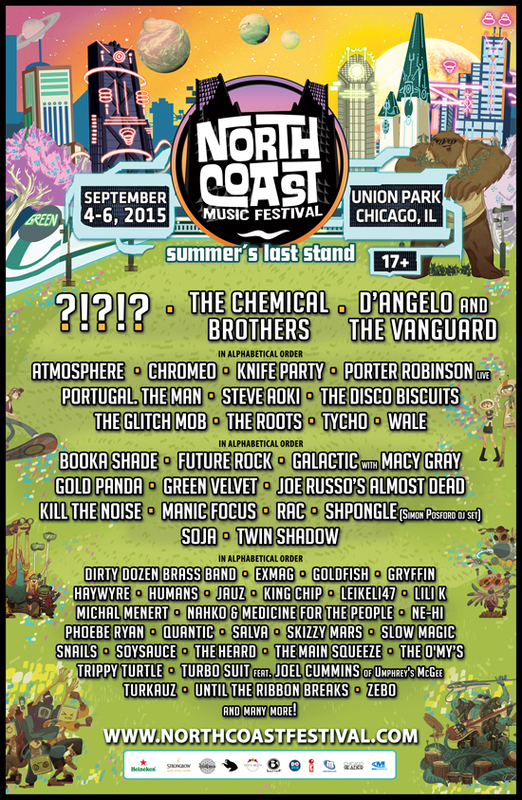 North Coast has always focused on the intersection of rap, jam bands and EDM. This year looks no different with STS9, Bassnectar and Snoop Dogg all set to headline. The undercard looks intriguing too, with Future Islands, Riff Raff, Washed Out, Action Bronson, Dr. Dog, Cashmere Cat and a slew of others all scheduled to appear. Chicago acts have a sizable presence as Wild Belle, Prob Cause, Ghosthouse, Zebo and several others perform. Check out the full announcement below. This just in! North Coast Music Festival finally announced the finalized schedule of its 4th annual gathering, returning to Union Park on Labor Day weekend. 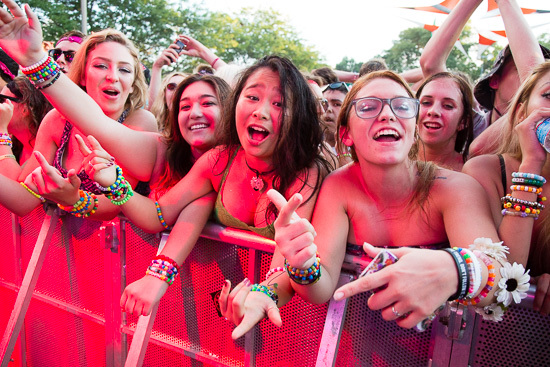 For several months, music fans across Chicago and the greater Midwest have anticipated which artists they can catch at the fest, but now they can begin to hash out their day-to-day game plans and create their own custom schedule. One of the toughest decisions comes at the very end of the festival, during the final performances on Sunday. Legendary hip-hop group Wu-Tang Clan plays at the same time as popular "jamtronica" band Lotus. Though it may be a difficult call for many, it can also serve as a welcome reminder of the musical diversity that NCMF has to offer. General admission three-day passes sold out last week, but there are still limited amounts of three-day VIP passes and single day tickets available. 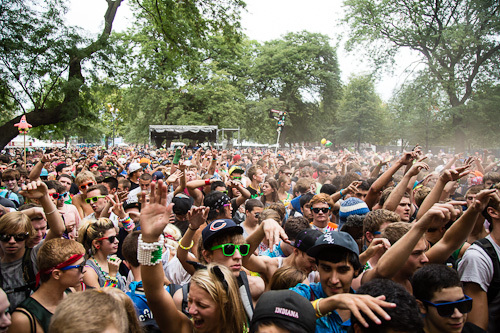 There are also plenty of tickets left for the myriad of official NCMF after parties. Except for The Disco Biscuits show at Concord Music Hall, which went like hot cakes, selling out in just a few short days after the tickets were initially released. For those who plan to attend any late night shows, the good news there will be plenty of time to regain your strength, as the music doesn't resume on the festival grounds until 1:30pm the following afternoon. Well, we did it. North Coast Music Festival is a relatively rain-free wrap. 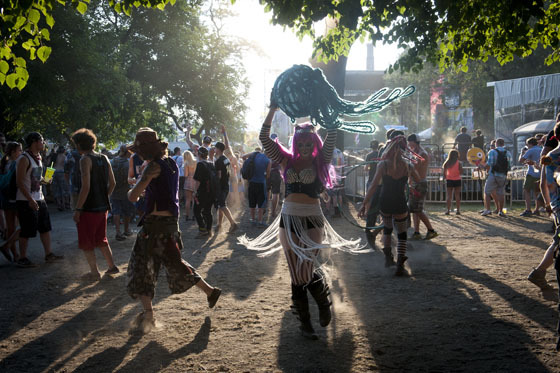 The glitter, rage sticks and neon-colored tutus are going back in the closet for another year as festival season comes to a close in Chicago. What did we learn this summer, the first that offered real competition with other EDM-focused fests like Spring Awakening and Wavefront? Perhaps it's that excess is not always a good thing. By the end of the day yesterday, after having attending both the previously mentioned festivals and other dance music events throughout the summer, I was exhausted and, quite frankly, a little womped and wobbled out. We certainly went out with a bang though. 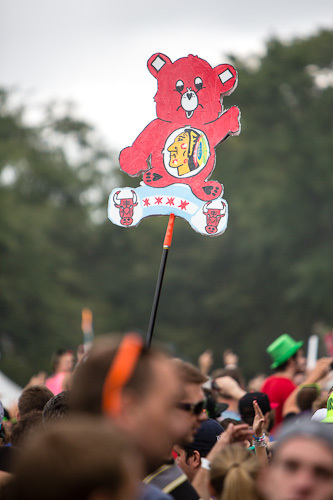 There's something weird in the air at North Coast this year. I can't quite tell what it is. When describing this festival I expected to be using words like "raging" and "wild." Instead, so far the words that are coming to mind are "mellow" and "uneventful." Excision's set at 4:45pm was the first of the day that I anticipated. The Canadian DJ's beat-making is almost mechanic, both in its metallic, glitchy sound and its formulaic composition of swoops, drops and flows. Technically, this had all the makings of a wildly insane dance party. Except the energy never seemed to live up to what I expected. Excision was great however, save for a steady wave of arms bumping to the beat, there was little crowd reaction to match that performance. Maybe it was the overcast backdrop. Maybe it had something to do with a certain herbal scent that constantly hung in the air. Or maybe, quite simply, it was just too darn packed to cut loose. out before his headlining slot as his onstage dance mob is often selected throughout the day leading up to the set. It's been a couple years since Gillis dropped All Day so--if you don't wind up lucky enough to join him onstage--you can still be hopeful for some new cuts. Gotye vs. Chief Kief, anyone? 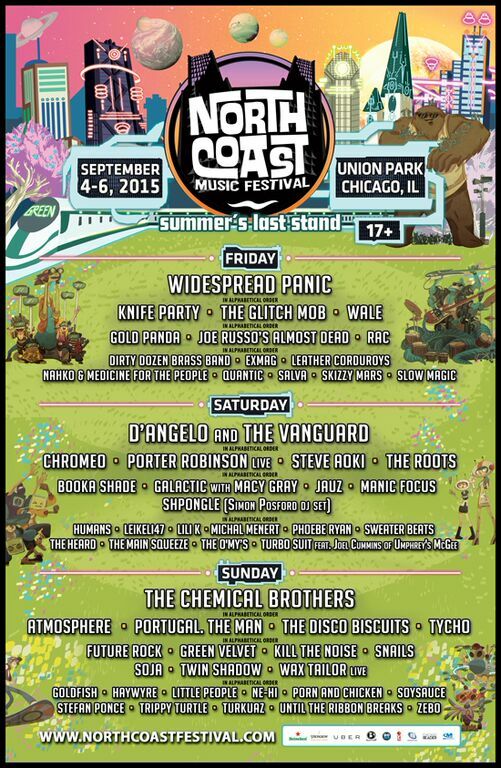 Adding to an already stellar lineup, North Coast Music Festival announced its second wave of artists today. In the hip hop department, Alabama-bred, Slim Shady protege Yelawolf and West Coast crew People Under the Stairs join the bill. The fest has also scored dance music veteran Paul Oakenfold, who's been spinning for decades. 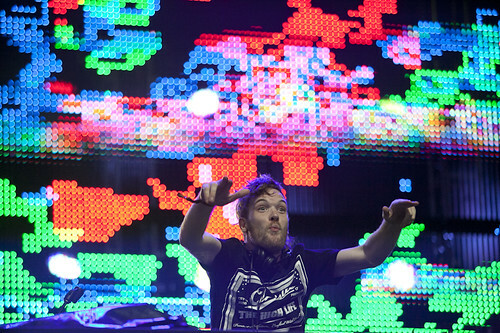 Other new additions include dubsteppers Knife Party and Dutch DJ Chuckie. Perhaps the biggest news, though, is that Chicago's own Umphrey's Mcgee is joining the list of headliners alongside the previously announced Pretty Lights. What I'm looking forward to: Yelawolf's set. Saw him at the Bottom Lounge last fall and the self-proclaimed "white trash rapper" can put on show. Here's hoping his set doesn't conflict with any of the other big name rap artists playing the fest like Atmosphere or Big Boi. What I'm not looking forward to: hearing the live version of Umphrey's "Chicago"--the band's much laughed about attempt to create an anthem for our city with the help of Buddy Guy and Chicago (the band). Here's hoping this debauchery is absent from the setlist come Labor Day weekend. 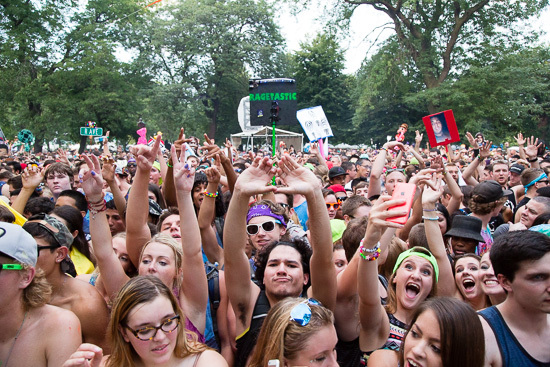 North Coast Music Festival hits Union Park August 31-September 2. Tickets are on sale now. and many more to be announced. The initial lineup is already looking solid for the third year of the festival, with the promise of even more headliners and other impressive acts to follow. Check out their site here with more information including how to purchase tickets. Oh, North Coast. A stoner's oasis. An epileptic's worst nightmare. While Day One started off slow and steady, Saturday seemed to go from zero to sixty in a matter of minutes. Union Park remained almost eerily barren through the first couple rounds of acts Saturday afternoon--too much raging on Friday night, I suppose--but once the rain started around 2:30pm, festheads started pouring into the park like moths to a flame.